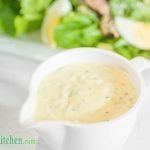 Caesar dressing is a great source of fat and flavour, and it doesn't have to be used just on the traditional Caesar Salad. No sugar, thickeners, additives or artificial preservatives. 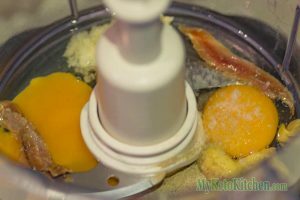 Put eggs, mustard, garlic, anchovies, salt and pepper in a food processor and blend on medium/high speed for 3 minutes or until well blended. Drop the speed just below medium and add the oil very slowly, in a thin stream. 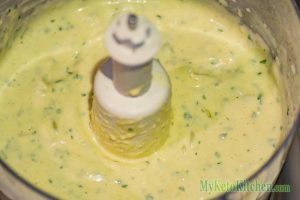 If the oil is added too quickly it will cause the dressing to split. 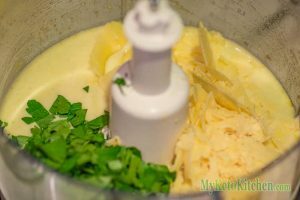 Add the parmesan, chopped parsley and lemon juice and blend until combined. Taste and adjust the seasoning if desired. If the dressing is too thick, add 2-3 tablespoons of hot water to thin it. Serve it drizzled over your favorite salad or use it as a dipping sauce.